Your first visit with our orthodontist will be an introductory exam for you or your child. Our orthodontist will address any of your or your child’s concerns and will examine the teeth for possible orthodontic problems. 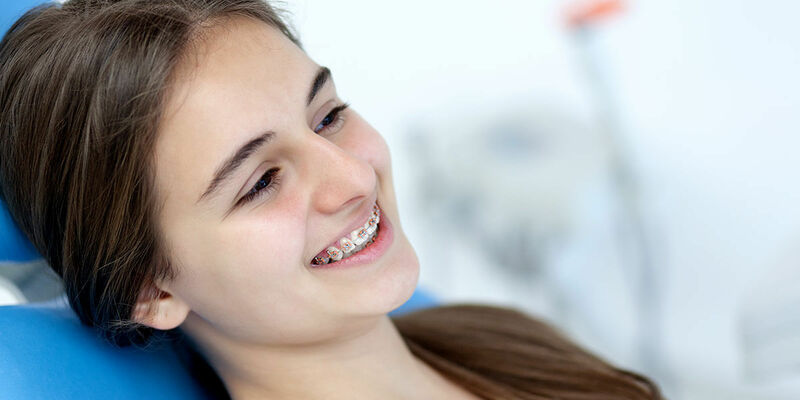 Our orthodontist will review her orthodontic findings along with presenting you with potential treatment options, length of treatment, costs, and the proper time to begin treatment. After your first visit, the next step is to take initial records to better help our orthodontist develop a custom treatment plan that addresses you or your child’s needs and concerns. The diagnostic records typically include x-rays, study models of the teeth, and photos of the patient’s face and teeth. These initial records also help in tracking the progress of treatment. After you and our orthodontist decide on a treatment plan, it is time to schedule the placement of the orthodontic appliances. This process usually takes one to two hours, and it is recommended that this appointment take place in the morning as this is a more detailed and technique sensitive appointment and we would like ample time to address any questions or concerns about the appliances. After the appliances are placed, you’ll see us at regular intervals of 4-8 weeks apart for adjustments, which take about 30 minutes. Patients are seen by appointment only, please call us during office hours to schedule an appointment to address any questions or concerns. If you experience breakage or loosening of an appliance, please refer to our webpage “Braces Care” and please call us to let us know that you need an appointment for something to be repaired so that we schedule an appointment accordingly.